Sorions desire to provide quality products on time to our customers requirements lead us to become ISO 9001 accredited, this was achieved in 2007. 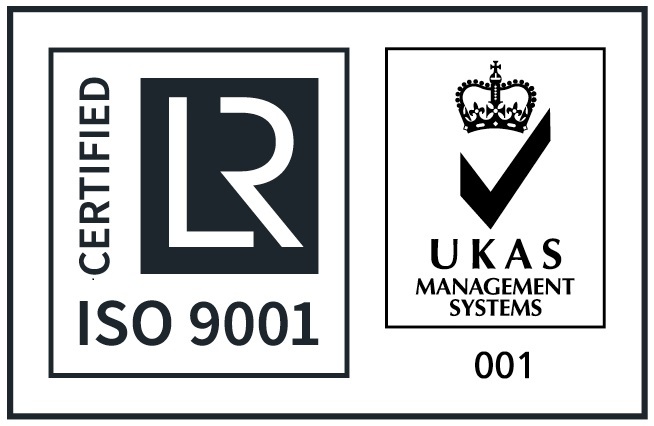 On the 15th June Lloyds Register assessed Sorion to the new ISO9001:2015 standard and on the 10th July Sorion was awarded it’s certificate of approval. 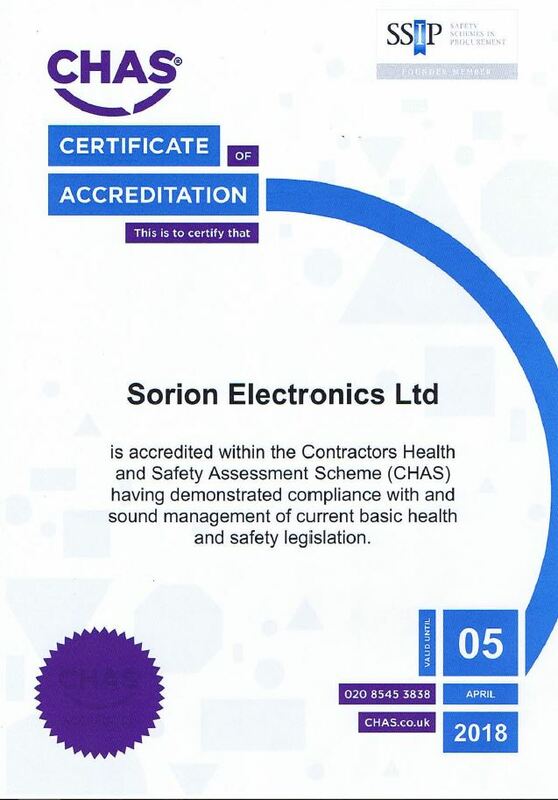 On the 10th November 2008 Sorion was initially assessed by Contractor Health and Safety assessment scheme against the CHAS standards and was awarded “Registered Contractor Status”. This allows our Customers (and prospective customers) to be assured that Sorion is a competent company with respect to health and safety. We are continually reassessed on an annual basis. As an ISO-9001 accredited manufacturer, Sorion Electronics recognise the need to comply with the Registration, Evaluation, Authorisation and Restriction of Chemicals (REACH). This regulation came in to force June 2007 and covers health and environmental dangers.